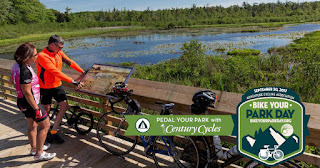 As part of their continuing mission to encourage more people to discover the joy of traveling by bicycle, the Adventure Cycling Association has designated Saturday, September 30, 2017 as Bike Your Park Day. To join in the celebration, discover new parks or experience your favorite parks in a new way. You can make it your own experience: ride your preferred distance; go with friends, family or join a group; bike on trails or roads. Share photos of your ride on social media using the hashtag #BikeYourPark. 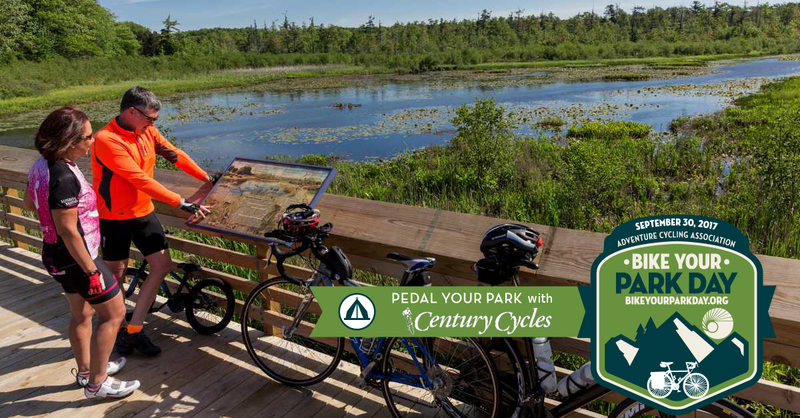 If you don't have a bike, we're going to make it easier for you to enjoy riding the popular Ohio & Erie Canal Towpath Trail in the Cuyahoga Valley National Park. 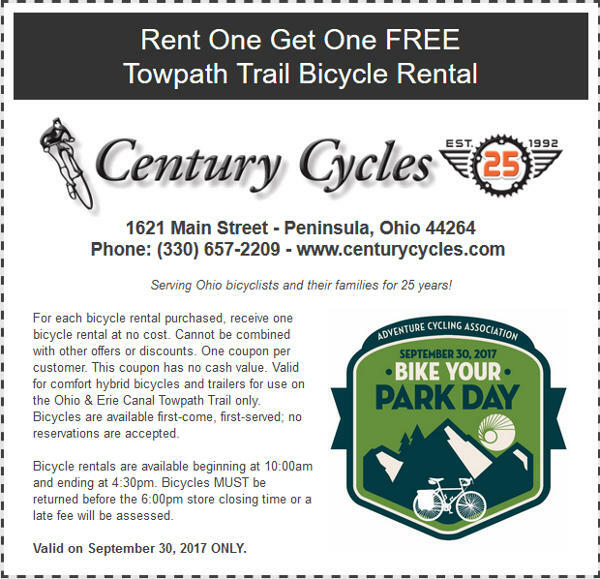 Bike Your Park Day will be RENT ONE, GET ONE FREE DAY for our Towpath Trail Bike Rentals in Peninsula! Just bring this coupon!